ARE EZE-BREEZE WINDOWS MADE OF GLASS OR PLASTIC? EZE-Breeze windows are made with aluminum frames and a 10Mil polyvinyl )not a glass, plastic, acrylic or latex). Many homeowners have used plastic sheeting or plexiglass panels to close off their screened in porches in bad weather. In colder climates they call this “Winterizing” their porch. This is very time consuming and has to be done every year, sometimes several times a year. With the polyvinyl EZE-Breeze windows, installation is a one-time easy process. The vinyl windows can be made clear or with a tint, just like glass and will have a “glass look.” However, they are much less expensive than glass and will not shatter like glass. The EZE-Breeze vinyl windows are very durable and weather resistant, a much better choice than plastic windows or plexiglass. What is the difference between a VERTICAL FOUR TRACK window and a HORIZONTAL SLIDING window? EZE-Breeze VERTICAL FOUR TRACK windows slide up and down and have four panes. These panes will slide and interlock one on top of the other so that all four panes can be lowered or raised to the same location. These EZE-Breeze windows will provide 75% ventilation. EZE-Breeze HORIZONTAL SLIDERS will slide left to right. There are usually two panes that can be slid to one side or the other. These EZE-Breeze windows will provide 50% ventilation. Horizontal Sliders can be made wider and are a good choice for spaces over 54 inches wide. What are the frame color choices? Do different frame colors cost more? EZE-Breeze windows and doors can be made with white, beige, pebble khaki, or bronze frames. There is no extra cost for EZE-Breeze windows to be made with different color frames. What are the tint color choices? Does it cost extra to have a tint in my EZE Breeze vinyl? EZE-Breeze windows can be made clear, smoke gray, dark gray, or a bronze tint. Architectural Glass does not charge to tint your vinyl windows. Are screens included with EZE-Breeze windows? Are all screens the same? Standard 18/14 charcoal mesh screens are included in our EZE-Breeze window quotes. We also offer BetterVue Screens, which provide a more superior view than the standard screen. These screens are available at an additional cost that will depend on your window size and quantity. Can my windows be made without screens? YES. Your EZE-Breeze windows can be made without screens. Simply let us know that screens are not needed and we will factor that into your quote. My porch is on the 2nd story – can I still install EZE-Breeze Windows? Yes you can. We offer inside mount windows at no additional cost. This will make your DIY project much easier to computer when your porch is not ground level. Can I have a fixed panel made – such as a transom window above a door? Yes. We can make fixed EZE-Breeze panels at almost any size. These windows are non-operable and do not include screens. Many homeowners use EZE-Breeze fixed panels above their doors or on very narrow spaces where a window would not work. Do EZE-Breeze windows come in standard sizes? All of our EZE-Breeze windows are custom sized to the homeowners’ needs. What are the maximum and minimum sizes available for EZE-Breeze windows? EZE-Breeze Vertical Four Track windows can be made from 12-54 inches wide and from 24-113 inches tall. Horizontal Sliders can be made from 24-96 inches wide and from 24-96 inches tall. How do you determine pricing on EZE-Breeze windows? We quote everyone on an individual basis. Your price is based on the size of your EZE-Breeze windows and the quantity you order. Other factors include whether or not you want us to provide you want an EZE-Breeze Cabana door or additional fixed panels. Certain options add more money like BetterVue Screens and extra spreader bars. We are always happy to provide “ball park” figures for you but will not be able to give you an accurate quote until you actually have all your window measurements ready. After I place my order, how long will it take to get my EZE-Breeze windows? It takes up to 12 business days to have your windows manufactured at the PGT factory. Then the EZE-Breeze windows are shipped direct to Architectural Glass for delivery to the homeowner or can be crated and shipped direct to your home or place of business. 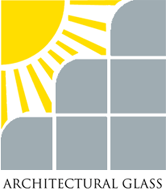 Does Architectural Glass sell to and work with contractors?